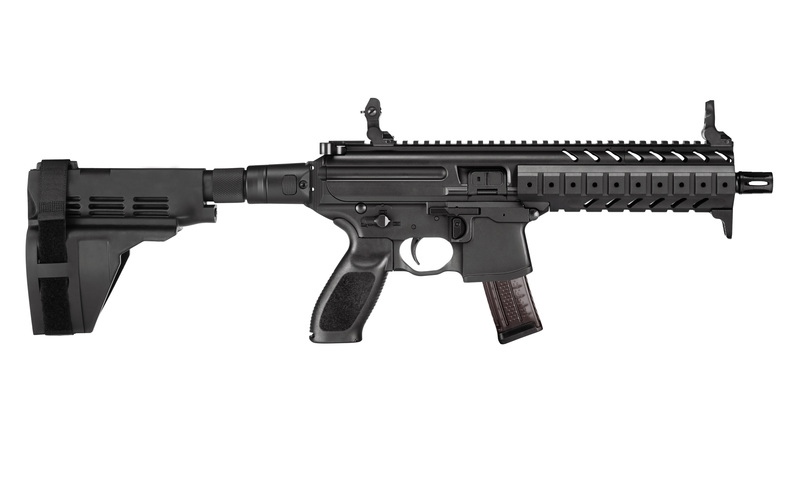 The MPX is a new addition to the Sig Sauer line. The civilian versions of this firearm are chambered in 9mm, although the possibility of converting to 40SW or 357Sig is in the design. The most common version of the MPX has a 9″ barrel and is considered a pistol, but you can add a stabilizing arm brace to make shooting easier.